Ward H. Dickson has been elected to the Ameren board of directors. ST. LOUIS, June 7, 2018 /PRNewswire/ -- The board of directors of Ameren Corporation (NYSE: AEE) announced today that Ward H. Dickson has been elected to the Ameren board of directors effective June 7, 2018. Dickson has served as the executive vice president and chief financial officer of WestRock Company since July 2015. WestRock, a Fortune 200 manufacturing company with 45,000 employees worldwide, is a multinational provider of paper and packaging solutions for the consumer and corrugated packaging markets. 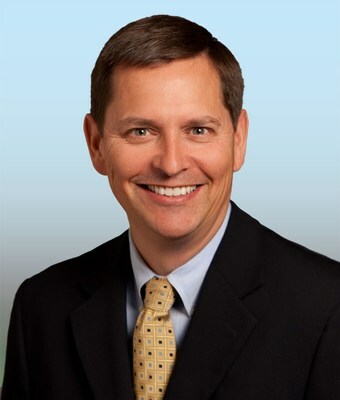 He previously served as executive vice president and chief financial officer of RockTenn Company, the predecessor of WestRock Company, from September 2013 to July 2015, and in various positions at Cisco Systems from February 2006 to September 2013, most recently as senior vice president of finance. "Ward brings more than 30 years of financial and strategic leadership to the Ameren Board of Directors," said Warner L. Baxter, chairman, president and chief executive officer of Ameren. "He has a demonstrated track record of driving results in publicly held global manufacturing and technology companies, expertise that will be of tremendous value to our board of directors, shareholders and customers." Dickson's election increases the size of the Ameren board of directors from 12 members to 13. He will serve on the Audit and Risk Committee and Finance Committee.